John Scalzi is a sci-fi writer I heard about years ago. You can get the whole story in my write-up of Old Man’s War from back in 2007 (this book blog is valuable). I don’t usually read one-off sci-fi or fantasy books, but there was a half-off sale at Open Books and I needed some summer reading. This worked nicely. Scalzi is hilarious. I knew this well before reading this book because I used to visit his blog. I strongly suggest spending some time on it, you may find something interesting. I’ve reacquainted myself with the blog and it’s worth it. This book is humorous sci-fi. It’s about some people in a spaceship in the future who figure out that they their lives are really a TV show from our time. As you would expect, they go back in time via a time machine to try and convince the screenwriter to stop killing them off. You have to read the book to figure it out. It’s packed with humor. Scalzi can capture a conversational tone that embodies wry, witty humor in the characters. It’s quite ingenious. I loved it. It’s also touching. The final third of the book is written from the perspective of the people in our time. 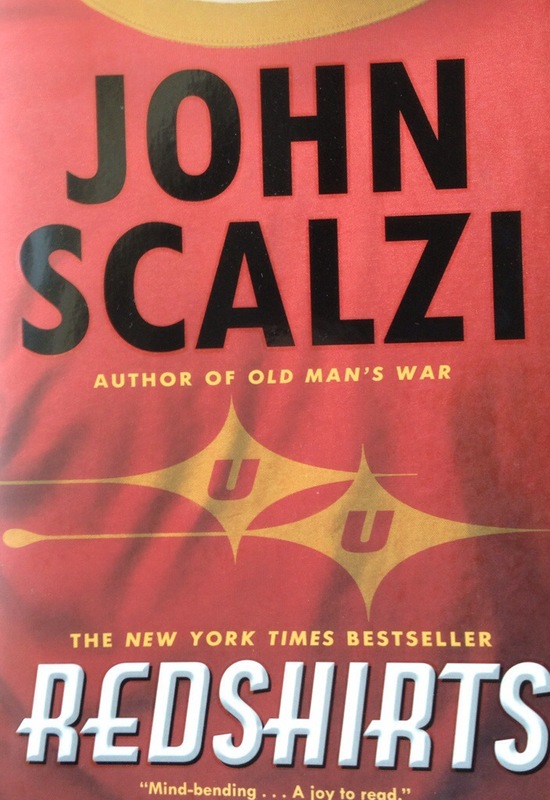 It gives Scalzi the chance to explore some deeper topics like love, loss, and motivation. It’s quite special.